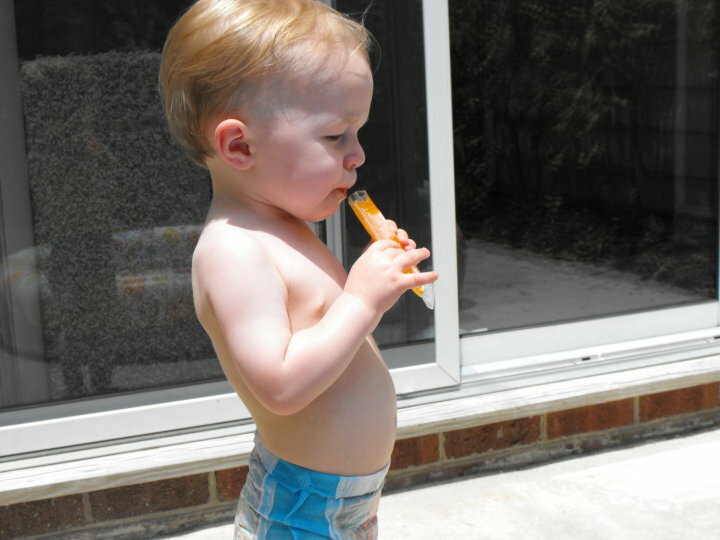 Eating popsicles on the back patio during 'pool time'. 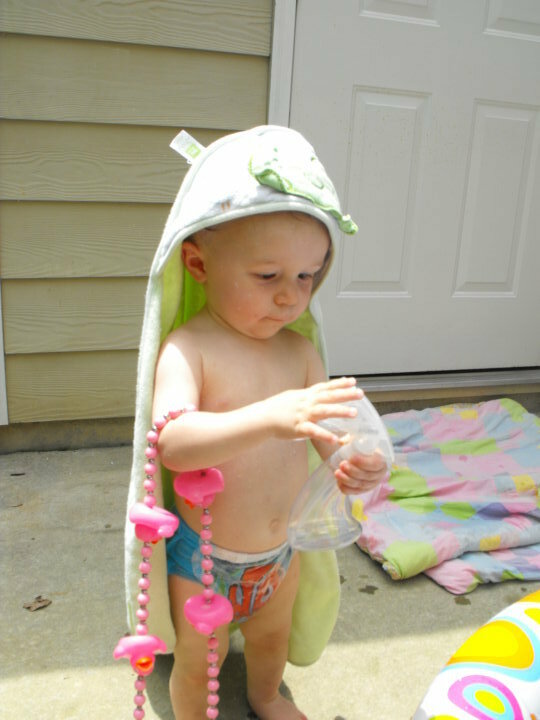 And here we have him after taking the towel off his head (but still carrying his necklace), going back for a dip in the pool maybe? He wasn't so interested in actually EATING them after they were made, but he seemed to have a good time helping with the stirring. Leslie, thank you so much for sharing these pictures!! It helps make those 40 hours a week that I have to spend away from Chase (at work) that much more bearable...You're the best!! I love having Chase with us! He makes my day so much fun and I love that he likes to help me out around the house. 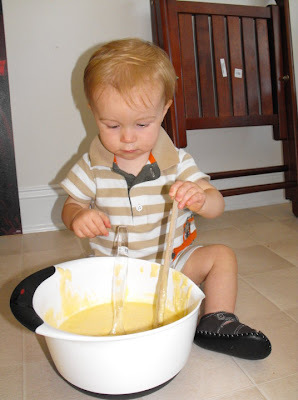 Hopefully one day we'll find a cooking activity to do that he'll like to eat!